This recipe was contributed courtesy of Meghan Slocum of Whole Natural Life. 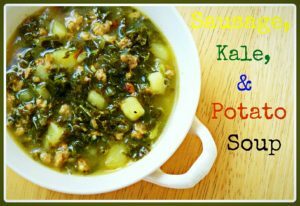 This recipe originated as a vegetarian kale and potato soup from the cookbook Laurel’s Kitchen. When Jesse and I first started making it together (sometime in 2007ish, I would guess), we soon modified it to include a hearty helping of breakfast sausage. When I make soup, I want it to be filling enough to make up the entire meal, which this recipe certainly accomplishes when you include the sausage. More recently, I also started substituting chicken broth for the water or vegetable stock called for in the original recipe–a modification that makes this soup both more flavorful and more nutritious. 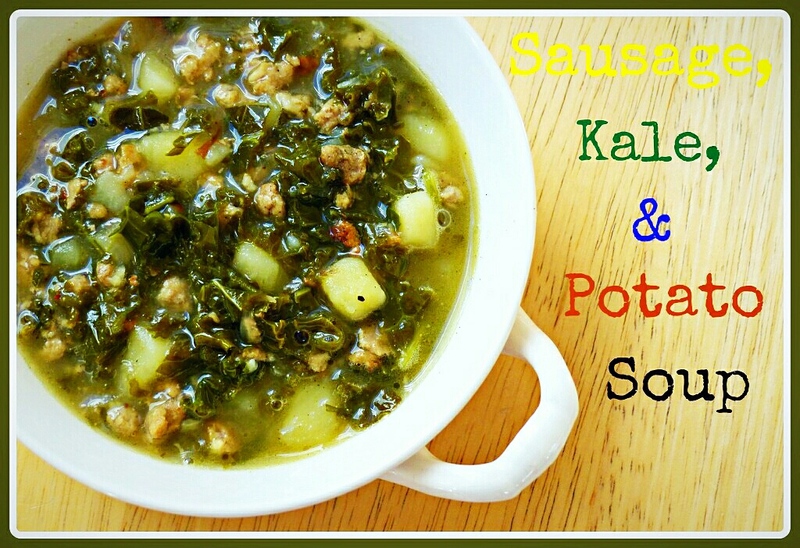 A hearty, Primal soup made of real food ingredients. Saute onions in coconut oil (or your other cooking oil of choice) in a Dutch oven or soup pot. Meghan and her family have been eating traditional, real foods since 2010, which, combined with some time on the GAPS diet, has brought them significant health improvements. They love raw milk, grass-fed/pastured meats, tons of healthy fats like butter and coconut oil, and plenty of local fruits and vegetables. 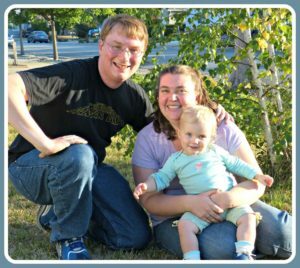 The Slocum’s have also been endeavoring to live a more natural life by eliminating disposable products and removing toxins from their home. Meghan honestly doesn’t strive to be perfect–as there are some modern conveniences that she’s just not willing to give up, but she has made a lot of strides in minimizing their use of commercial products that hurt them and the planet, and hopes to inspire you to do the same! You can follow her on Facebook, Pinterest, and Instagram. This recipe was provided courtesy of Meghan Slocum, of Whole Natural Life. 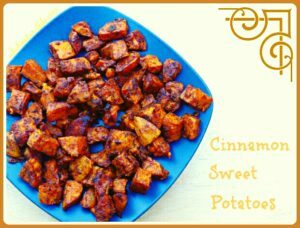 These cinnamon sweet potatoes are a nice change from typical vegetable side dishes, and are perfect for fall inspired meals. 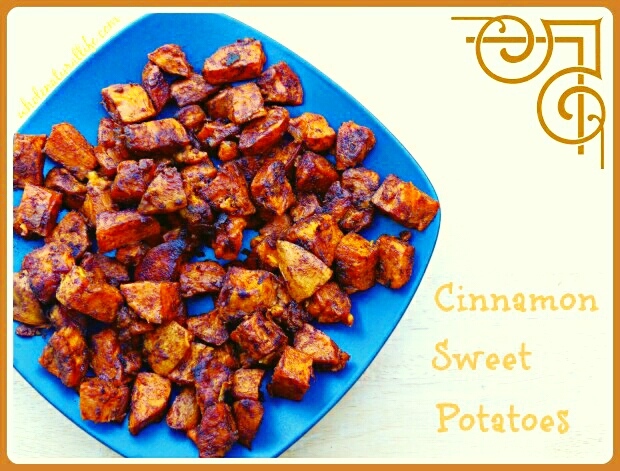 Our daughter, Keira LOVES these, probably because the cinnamon really brings out the sweet potatoes’ natural sweetness. I love that they’re quick to pull together and make great leftovers the next day. This recipe has been provided courtesy of Meghan Slocum, of Whole Natural Life. 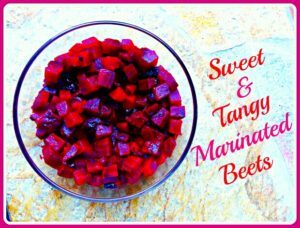 Normally our family mostly enjoy beets roasted with carrots and onions, but lately I’ve also been loving them in this simple marinated side dish. I especially like this recipe because it makes a bunch of leftovers that keep well in the fridge and taste good eaten cold. We prepare virtually all of our own meals, but ideally I only like to cook for dinner so leftovers are a huge asset in our house. My toddler is also a big fan of this recipe. The prunes make this dish taste fairly sweet, which I assume is what she enjoys about it. She doesn’t particularly care for beets on their own, so if I can entice her to eat beets by adding some fruit to them, I’m all for that. If you have time, this dish tastes best when made at least a few hours in advance. Advance preparation gives time for the marinade to be absorbed by the beets and prunes. Trim stems and ends from beets and scrub well. Place in a lidded baking dish and roast until beets are soft. I find that large beets take about 1.5 hours or so, but I'd start checking them after an hour. Once beets are done, allow them to cool until you can handle them comfortably, then remove the skins. Chop beets into bite-sized pieces. Chop prunes, then add to beets. Add apple cider vinegar and salt to taste. Mix all to combine. Chill in the fridge until you are ready to serve.